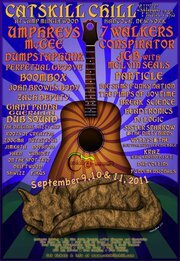 Catskill Chill 2011 ~ A Preview: It’s Like Summer Camp With Your Friends! In the Fall people from all over the world head to the Catskill Mountains to gaze at the lovely foliage and relax in nature. 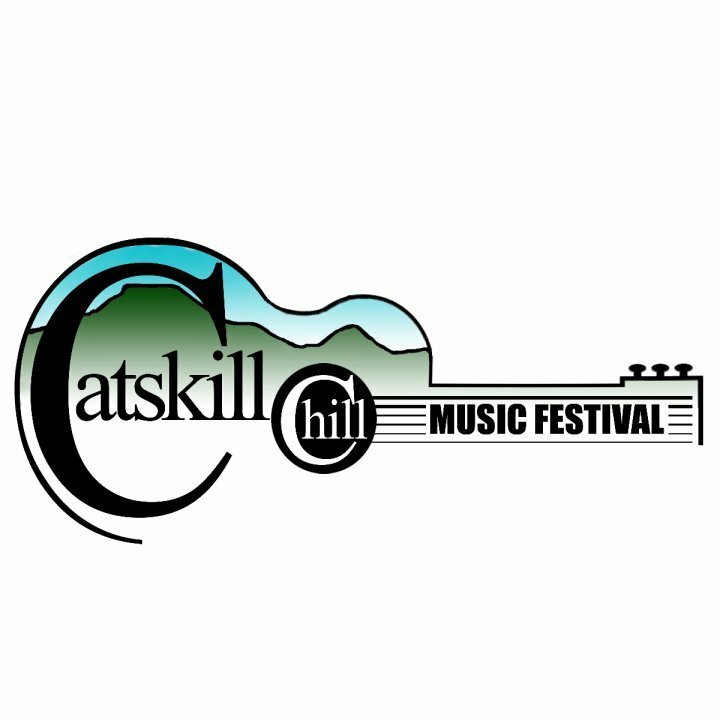 This September they will be flocking to the Catskills once again, but this time it is for nature and something equally important, Live Music.The second edition of the Catskill Chill Music Festival will take place Friday September 9th until Monday September 11th at Camp Minglewood and it promises to be an epic weekend of music and good times. 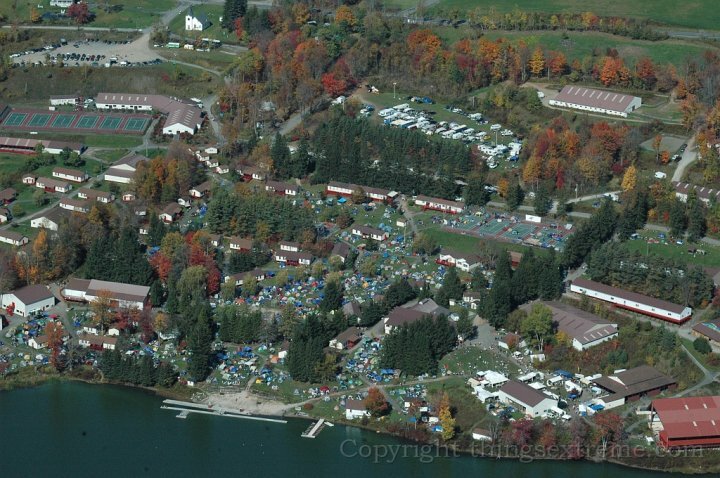 Camp Minglewood is an ideal festival site with lush nature surrounding the site. Sleeping options range from camping in a tent to RV’s to renting a cabin. Weekend camping tickets are only $105 advance. Single day tickets range from $50-$70. Camp opens 9:00 AM Friday and will remain open for campers until Monday at 3:00 PM. Music begins Friday at 2:30 PM and ends on Monday at 3:00 AM. You can purchase tickets here! There is an amazing variety of music at this year’s festival and something for music lovers of all kinds. An awesome line up of DJ’s are booked to play. Be ready to groove to the funkified beats of Nutritious or if you like your beats a bit more psychedelic, go check out DJ Logic for a nice face melting. DJ Kras will also be spinning his unique blend of beats. Speaking of face melting, Conspirator (a project featuring Marc Brownstein and Aron Magner of the Disco Biscuits) promises to melt your face off. Perpetual Groove also brings its unique blend of psychedelic groove dance rhythms to Camp Minglewood. The spirit of The Grateful Dead will be a major part of this festival with two of Garcia’s musical partners, Melvin Seals and Bill Kreutzman on hand. 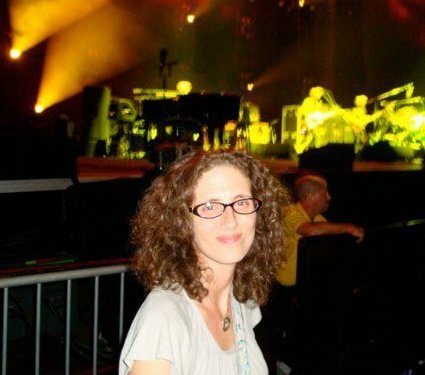 7 Walkers will be bringing the spirit of The Grateful Dead and New Orleans together with their unique blend of Grateful Funk featuring Bill Kreutzman on drums, the legendary George Porter on bass and Papa Mali on guitar. Melvin Seals, Jerry’s long time keyboard player will bring the timeless JGB to the festival to keep all the cats down under the stars happy. Also bringing the Funk to the Catskills that weekend will be Big Sam and his Funky Nation, Ivan Neville’s Dumpstafunk, The Pimps of Joy Time and Sister Sparrow and the Dirty Birds. Big Sam is a New Orleans favorite; a massive hulk of a man who makes a trombone look tiny in his hands and sound ohh so sweet. And Dumpstafunk is the funk project of Neville Brother Ivan Neville which brings a heavy double bass version of mind blowing funk to the table. The Pimps of Joytime are a Brooklyn band bringing some of NYC’s best danceable Funk to the mountains. Sister Sparrow and the Dirty Birds will be bringing their own brand of sultry Funk to the table for all to enjoy. For those into wild crazy late night beats, you are in for a treat watching Adam Deitch and Break Science. Also Giant Panda Guerilla Dub Squad and Wyllys and the New York Hustler Ensemble will have the dance floor thumping into the morning hours. John Brown’s Body and Zach Deputy will bring their own unique versions of modified blues and reggae to the Chill for people to Chill to. All these bands and so many more for one glorious weekend in the Catskill Mountains at Camp Minglewood. A Rage not to be missed. 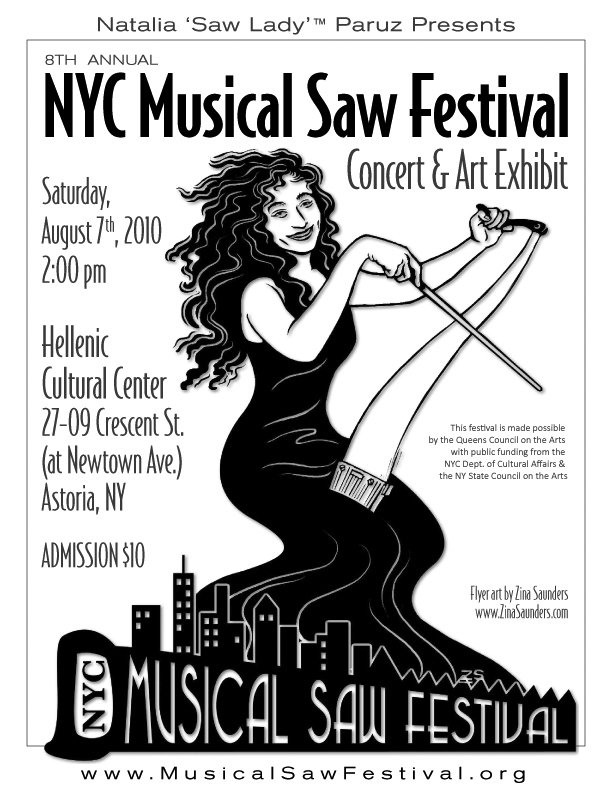 A concert & art exhibit revolving around 300 year old art of playing music on a carpenter’s handsaw will take place on Saturday, August 7th, 2010, 2pm. The art form of making music with a carpenter’s handsaw has been around for 300 years. For the past 8 years, Astoria, Queens has become a pilgrimage spot for musical saw players from all over the world. Last year, the festival got into the Guinness Book of Records for the ‘Largest Musical Saw Ensemble’ with 53 players playing together, beating the previous record from Poland (28 saw players). This years festival includes world premiers of music written especially for the musical saw to including a piece written for a trio debut. As well, the Chorus of the Saws – all the musical saw players playing together. There will also be musical saw solos & ensembles, performing many music styles to include jazz, classical, pop, folk, show-tunes and more. All to to be performed by musical saw players from all over the world. Finally, ‘Ameriklectic’ – a 10-piece jazz band featuring the musical saw of Natalia ‘Saw Lady’ Paruz, as the lead instrument will be debuted. The festival is made possible by the Queens Council of the Arts with public funding from the NYC Department of Cultural Affairs and the NY State Council of the Arts.